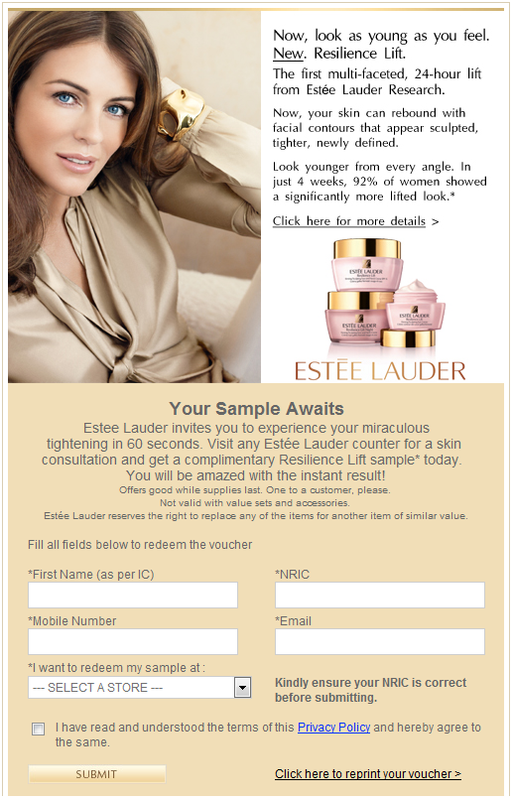 Estee Lauder invites you to experience your miraculous tightening in 60 seconds. Visit any Estee Lauder counter for a skin consultation and get a complimentary Resilience Lift sample today. You will be amzaed with the instant result! How to get the Estee Lauder Resilience Lift sample? Fill all fields in the Estee Lauder Malaysia fanpage to redeem the voucher. Offers good while supplies last. One to a customer, please. Not valid with value sets and accessories. Estee Lauder reserves the right to replace any of the items for another item of similar value.